Venminder has extensive experience in helping non-bank lenders meet industry regulatory guidelines on third party risk management. Attention on vendor risk management in the non-bank lending space is increasing. With so much focus on the Consumer Financial Protection Bureau(CFPB) and their ongoing enforcement of UDAAP violations, you need to be better prepared than ever. The consumer financial protection bureau set clear expectations regarding third party oversight in their CFPB Bulletin 2012-03 and offers a slight twist to the traditional oversight guidance offered by other key regulators. Since the “bureau” has the mission of protecting consumers from financial harm, the oversight requirements are aimed at ensuring that oversight of supervised entities is focused on the mindset that the third parties may negatively impact the financial well-being of the consumer. The purpose or objective of running a third party risk management program is to demonstrate from a regulatory approach that any service provider has been vetted, managed and corrected to ensure that the solution provider may not fall foul of any federal consumer protection laws. In addition, ongoing management of your vendor panel offers strategic and competitive advantages. 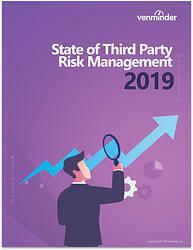 By adopting third party risk management best practices, not only will your fellow board members be able to demonstrate to the regulatory agencies your commitment to third party risk management, but your operation will have made significant strides in mitigating the impact of third party risk to your operation, executive team and shareholders. Correct practices presenting a significant risk of violating the law and causing consumer harm.